Bahrain-based Ithmaar Bank has reported a net loss of BD29.9 million ($79.3 million) for 2013 as against a net loss of BD10.1 million the year before. The results include a loss, for the quarter ended December 31 last year of BD25.4 million, against a loss of BD4.2 million for the same period of the previous year, said the Islamic retail bank in its statement. Commenting on the results, Ithmaar Bank chairman Prince Amr Al Faisal said: "The positive story for last year is that total income mainly comprises increased recurring income, though this was impacted by margin compression in FBL, whereas 2012 income included certain one-off items." "The bank recognised prudent impairment provisions on its investment portfolio and simultaneously pursued aggressive recoveries of non-performing assets which resulted in provision write backs," he stated. "The impairment provisions for last year, of BD30.9 million, represent a 51.9 per cent increase compared with BD20.4 million for 2012," he added. He said the board had taken certain strategic decisions early this year aimed at significantly transforming the group's operations. These include the full conversion of its subsidiary Faysal Bank Pakistan's (FBL) remaining conventional operations to Islamic banking, subject to approval from FBL shareholders and the regulators; and cost rationalisation measures across the Group. "One of the key initiatives to further improve the group's performance is to enhance the monitoring of non-core assets and to initiate effective remedial measures leading to the accelerated recovery of non-performing assets," said Prince Amr. "This is in addition to the orderly exit from our investment portfolio which continues to be high on our priorities," he said. "One of the major factors impacting the performance of the group for this year is the significant reduction in benchmark profit rates in Pakistan, coupled with increased minimum profit rate on certain liability products resulting in significant margin compression in FBL," said Prince Amr. "The bank's operating income of BD75.4 million last year is 13.9 per cent lower than that reported for 2012, mainly due to the significant compression of margins in FBL," he said. "Total expenses, however, are under control despite the increased number of branches of the Group by Five last year, and the full-year impact of nine branches opened during 2012," said Prince Amr. "The balance sheet continues to be stable at BD2.79 billion, with the equity of unrestricted investment account holders recording an impressive growth of more than 13.4 per cent to BD748.5 million as on December 31 last year, from BD660.2 million as on December 31, 2012," said Prince Amr. "Meanwhile, Ithmaar's focus on growing low-cost customer liabilities resulted in customer current accounts increasing by 6.4 per cent to reach BD479 million as on December 31 from BD450 million as on December 31, 2012," he said. 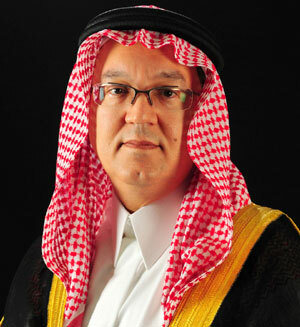 Ithmaar Bank chief executive Ahmed Abdul Rahim said the bank continues to forge ahead with plans to become region's premier Islamic retail bank. "The bank continued to invest heavily in developing its products and services, on expanding its retail banking network and on improving its customer service offerings," he stated. "Technology and internal controls were the backbone that support business growth,” said Abdul Rahim.